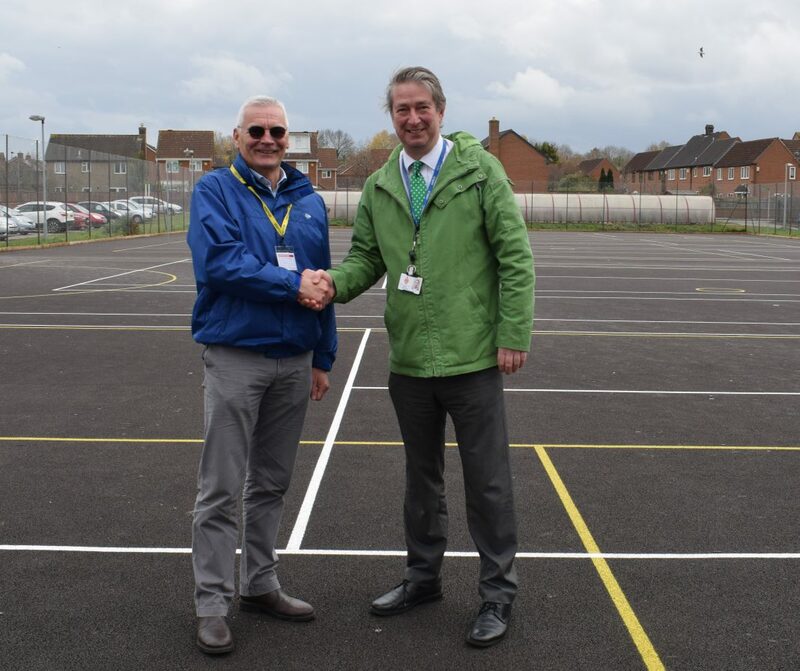 Community sports courts at Brimsham Green School, Yate, have been completely resurfaced thanks to a South Gloucestershire Council grant worth £74,500. The surface of the hard courts was previously in poor condition which made it difficult and unsuitable for netball and tennis games. It resulted in a decline in users as the school were unable to attract new community sports groups to the facilities. We negotiated contribution funding from developers to invest in improving facilities within the area and, last November, allocated the Section 106 funding for the work to be done. The courts are now fully open and available for community use out of school hours. The pupils at the school are also benefiting from the improved facilities. Cabinet Member for Communities and Tourism Cllr Paul Hughes said: “It’s great to see the improvements which are now benefitting more users.